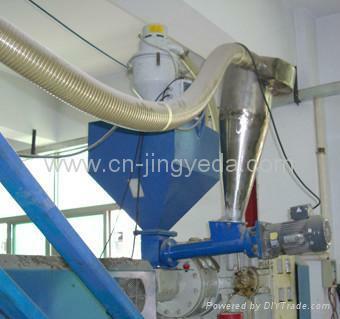 Our Inline Crush Recycler is actually an Inline crushing cycloid reuse system. 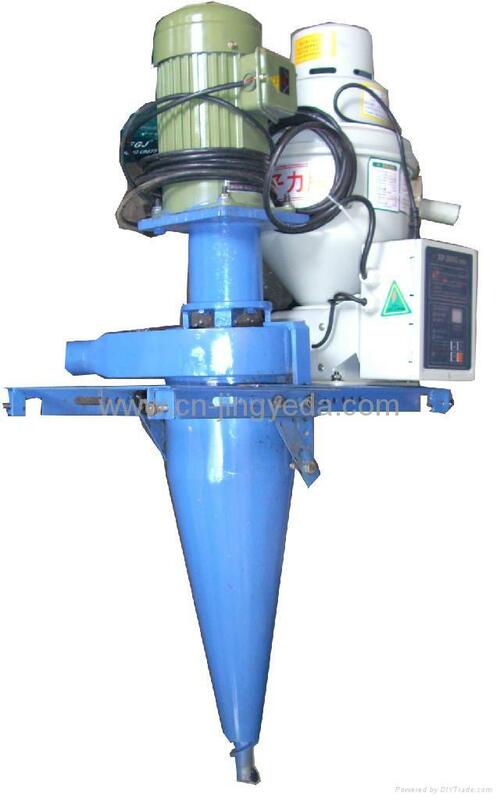 Built up with 2 main parts, one is the small crusher and the other is the cycloid blowing system with a screw. (Auto loader is not included. We put inside the picture is only to show you how to use the system). 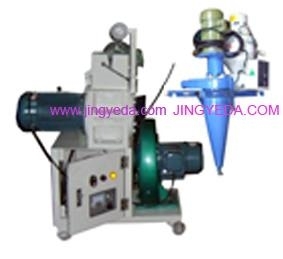 We design this system is because the Italian type Compact Crusher needs strong compressed air and often blow away your virgin resin.